BayarmaBella: "With Henry Cavill 4 years ago." The pic is a little older than that, but what a great shot it is. Thanks for sharing your behind the scenes moment Bayarma. 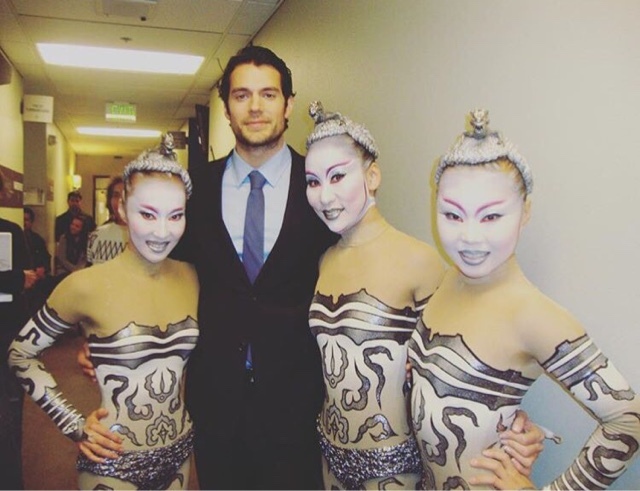 Henry was promoting Immortals on The Tonight Show with Jay Leno, and as always he impressed in his suit. Check out more pics from that day in our gallery, and watch his fun appearance below. and this is how I got a crush on Superman again! I remember that interview, and that laugh and smile goodness! he can make anyone's day with those!!!! that was a great interview and shows just how much Henry appreciates what he works so hard for :) thanks for the trip down memory lane HCN! Cavill Conservation: Henry's New Post Is Up!